I live on an island with my husband and our cat and our dogs. I am an artist--painter and ceramic sculptor--as well as a writer. My book, The Dog Thief and Other Stories, was listed as one of the one hundred best indy books of 2015. When not writing or painting, I volunteer at a cat sanctuary. The Eclipse Dancer is magical realism based on the premise that the nature spirits of the Ojibwa are real. I have a second book with similar setting and premise written and a third planned. 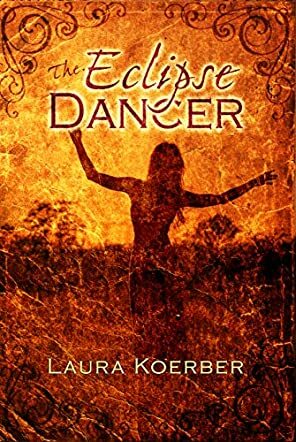 The Eclipse Dancer by Laura Koerber follows the journey of a thirteen-year-old as she learns of her hidden identity and later as she comes back home after years away from her family. Andy had always known she was different and more than once she was teased for it. This was until she met the nature spirits whom she learned were related to her through her long-gone father. Andy finally felt that she belonged; finally, she could be with a group that really understood her. After a while, things start to get dangerous and Andy later suffers unbearable loss. The Eclipse Dancer presents an intriguing story that contains themes of identity, belonging, love, estrangement, and forgiveness. In The Eclipse Dancer, Laura Koerber lays an excellent foundation of what is to come in the story. Andy has a difficult life. Her childhood is marked by an alcoholic mother and an absent father. She is also different in her own way from other children, which makes her long for a place and a group where she feels that she belongs. The characters are easy to connect to as they possess both weakness and strengths. They are also few in number, which makes it easy to follow the story. Scenes are described adeptly and a description of each of their backgrounds is included. There are unexpected events in the book which easily surprise along the way. The Eclipse Dancer is fascinating and in some places it is heartbreaking, but within its pages it contains a powerful lesson of forgiveness and letting go.